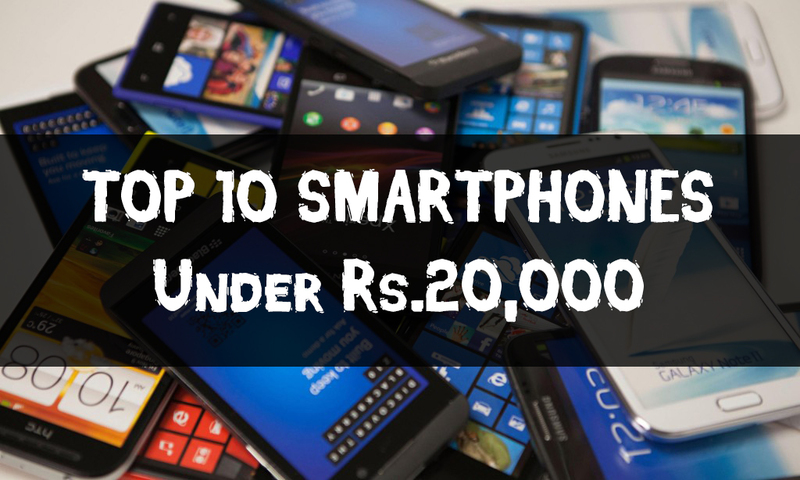 Here is list of 10 Best Android Phone Under RS 20,000. 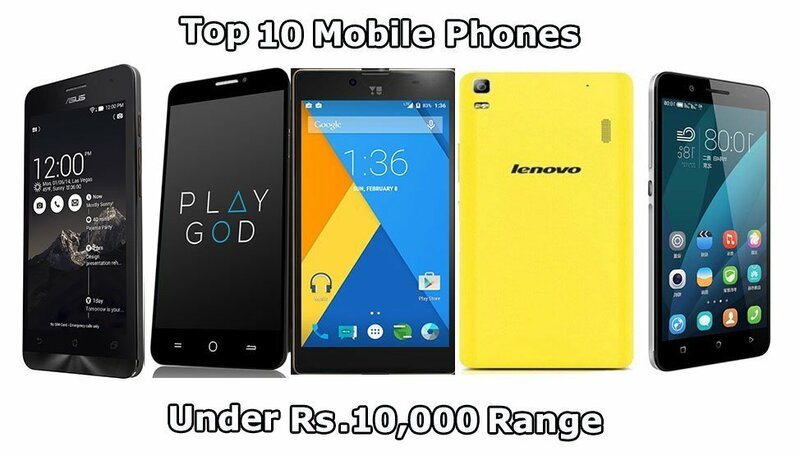 Hello guys today i am going to show you the 10 Best Android phone under Rs. 20,000. Looking for the best phone under 20000 Rs? Believe me, finding it is a real challenging task as there are many good smartphones under 10000 Rs. and this is the most competitive price range. 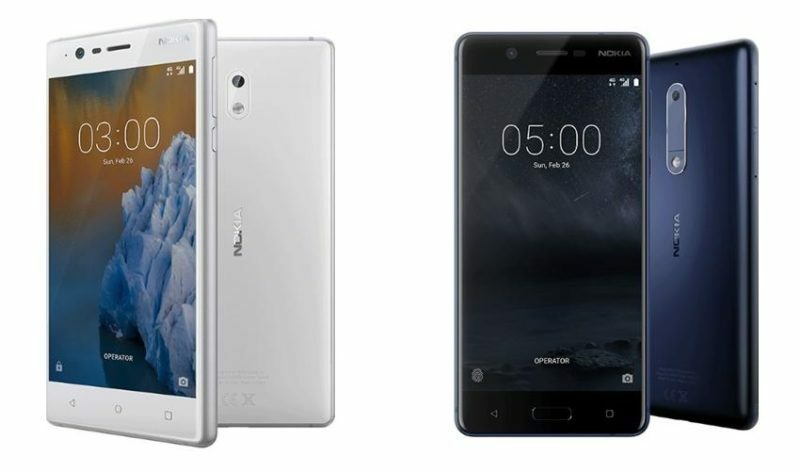 In the recent times, we have seen some high quality, powerful and equally good smartphones from many companies in this range, which has made it even more difficult for the buyers to decide which one is the best. We believe that specifications of the phones just tell the half story, a great user experience matters more than great specifications. 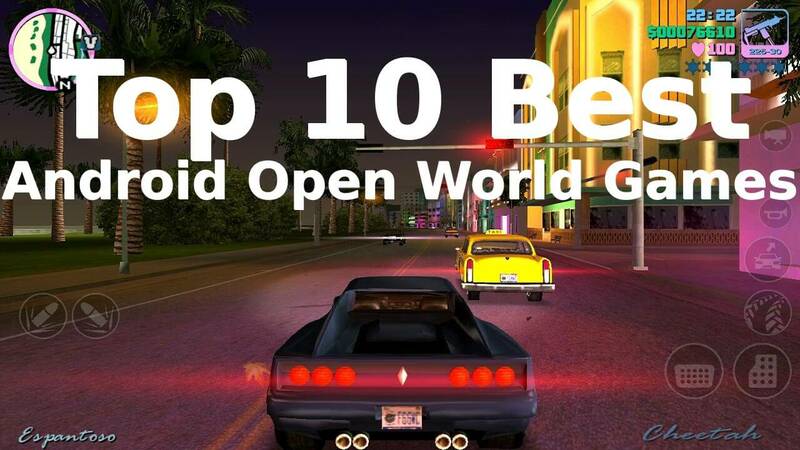 So, while preparing this list we have considered everything, the specifications, hardware, software (UI), real-world performance, user experience, brand value, after sales service and more. 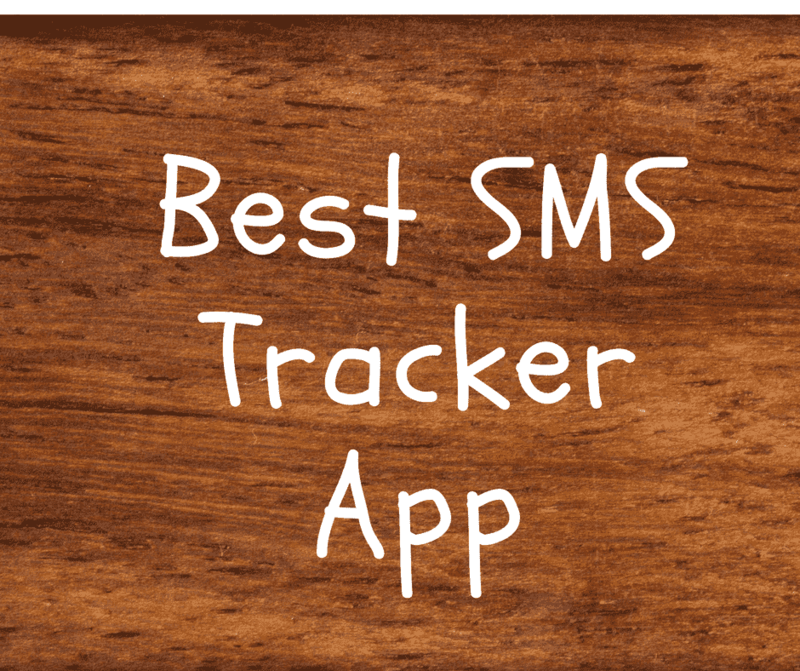 We see a phone as a complete package which should at the end deliver great satisfaction to the user and our rankings are based on the same principles. Android phone With 1 Gb Ram. Motorola has understood the Indian market really well, it knows how to produce great phones without stuffing them too much. The new Moto X Play sports a 5.5 inches 1080p Full HD display which turns out the pixel density of 403 ppi, the screen is protected with Corning Gorilla Glass 3 and the display quality is very good. Design wise, the phone looks beautiful & has got a good build quality. It also comes with water-repellent nano coating. 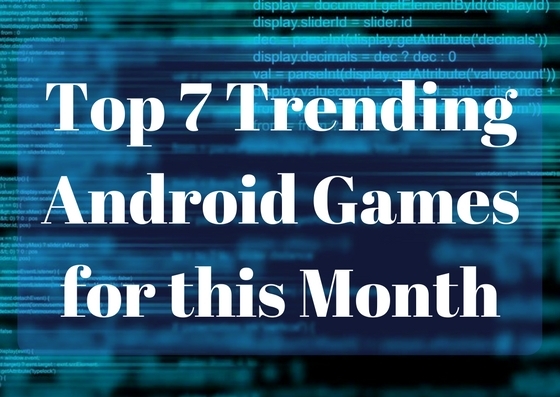 It runs on the 1.7GHz Snapdragon 615 Octa-core CPU coupled with Adreno 405 GPU & 2 GB RAM & delivers decent performance but if you need a phone for gaming, it will be better to go with Zenfone 2. The phone has got a whooping 21 MP rear camera with f/2.0 aperture, Phase Detect Auto-Focus (PDAF) and Color Correlated Temperature (CCT) dual LED flash. The camera app comes with features like 4X digital zoom, auto HDR, burst mode, night mode, panorama, and Drag to focus & exposure. It can record 1080p HD videos at 30fps, it can also record slow motion videos and supports video stabilisation. 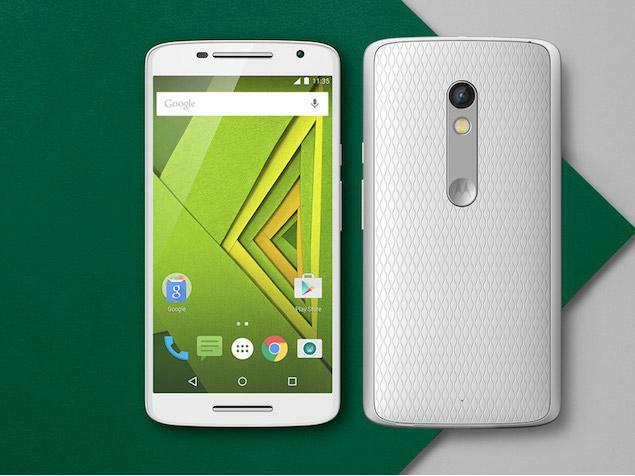 All these features make Moto X Play the best camera smartphone under 20000 Rs. The phone also sports a 5MP front camera. 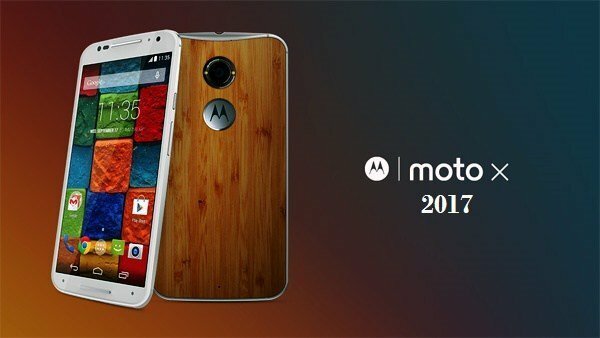 It runs on the latest Android 5.1.1 Lollipop with stock Android UI, a good thing about Moto phones is that they continue to get latest Android updates faster than most flagship phones. Another great thing about the phone is its 3630 mAh battery which offers mixed usage up to 30 hours (claims the company) & supports quick charging. It comes in two storage variants with 16 GB & 32 GB internal storage, it is also expandable upto 128 GB. The phone supports dual sim and 4G. Overall, the Moto X Play is a complete package with great user experience & minimum downsides, it is the best phone under 20000 Rs for day-to-day usage & an absolute delight for camera lovers. But still, if high performance is what you want the Zenfone 2 or OnePlus X are better choices. Downgrade Zenfone 5 From Lollipop To Kitkat. 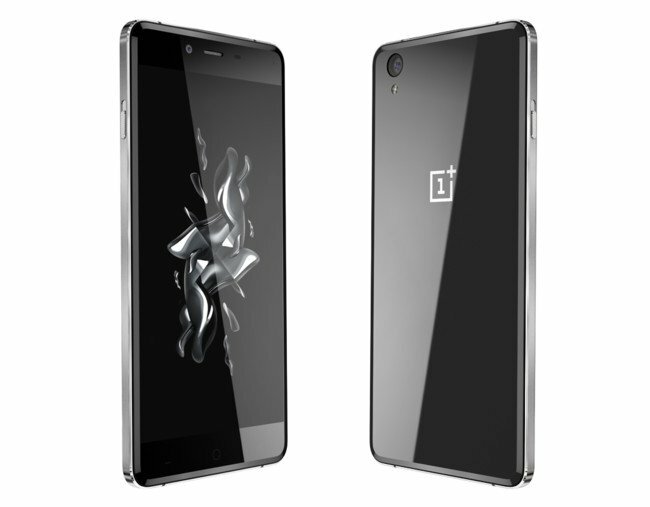 After killing the Flagship phones & writing history, OnePlus has now entered the budget segment with its OnePlus X. The new phone comes with a beautiful design and solid build quality. The phone has got a metallic body and Corning Gorilla Glass 3 on the front and back which feels really good and premium. It comes in two build options Onyx black glass back and fire-baked Ceramic. It comes with a dedicated physical key for Notification toggle, just like the OnePlus 2. It weighs at 138 grams and has a thickness of just 6.9mm. It comes with a 5 inches Full HD AMOLED display which is very good and at the same time, due to its smaller form factor it feels comfortable to use, even with one hand. The OnePlus X runs on the powerful and popular Quad-core Qualcomm Snapdragon 801 Processor clocked at 2.3 GHz and coupled with 3 GB RAM. It has great performance and you can use it for everything. It comes with Android v5.1.1 Lollipop out of the box with OnePlus’s own Oxygen OS running on top. The OnePlus OS which was designed after the company’s breakup with Cyanogen has near stock Android UI but comes with added features and customization options. It features a 13 MP rear camera with f/2.2 aperture and clicks good images, it can record Full HD videos. It has got an 8 MP front facing camera with f/2.4 aperture which also clicks good selfies. 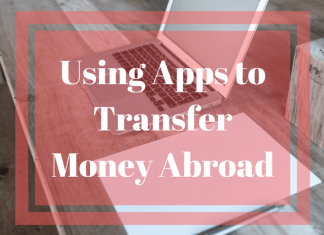 Great thing is, the phone clicks images very quickly without shutter lags, the built-in camera app comes with necessary features and is easy to use. The phone supports Dual Sim and 4G and comes with 16 GB internal storage which is expandable upto 128 GB with the help of a microSD card but sadly, it eats up the second sim slot. It is backed by a non-removable 2525 mAh battery. The phone is great but a fingerprint sensor would have made it an irresistible deal. OnePlus X is available with the company’s annoying invite system currently but the invite system is expected to end soon. Overall, with great design, display and power, the OnePlus X is a one hard phone to ignore. Specially at the price of Rs. 16,999 it can be a great buy. The older Flagship Killer OnePlus One can still be a good choice. Wow! 4 GB RAM!! In India, still a large population hasn’t got 4 GB RAM even on their computers but this budget device from Asus let’s you carry the enormous power of 4 GB RAM in your pockets. It runs on 2.3 GHz 64-bit Intel Atom Z3580 Quad Core Processor which is just amazing and with 4 GB of RAM, it’s needless to say the phone is performance powerhouse and can handle every bit of heavy gaming and multitasking pretty smoothly. It sports a 5.5 inches Full HD display which is very good and it is also protected with Corning Gorilla Glass 3. The phone has a 13 MP rear & 5 MP front camera, the picture quality of both the cameras is very impressive. They are bright & colourful. It allows FHD video recording & produces good quality videos. It also has Dual-LED Flash and many other features. It runs on the Android v5.0 Lollipop with Asus’s ZenUI running on top of it. It supports Dual Sim & 4G (LTE). It comes with good 32 GB internal memory which is also expandable upto 64 GB, well that’s great! It also has a good 3000 mAh battery, with fast charging feature (60% in 39 minutes of charging). When it comes to design, the phone looks very good and more importantly it’s different from other phones in the market. 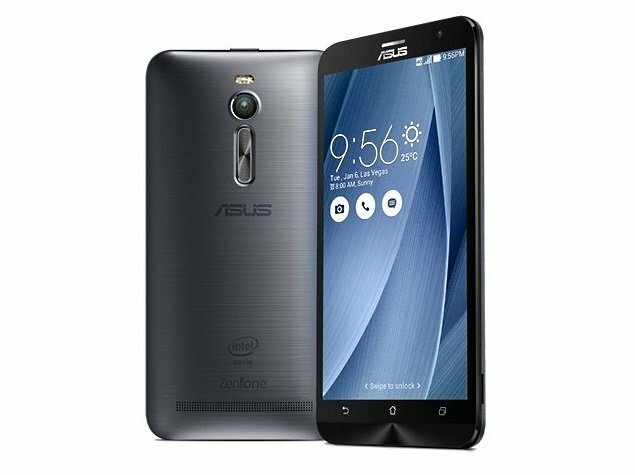 Overall, the Zenfone 2 is a beast with its 4 GB RAM, it also offers a complete value for money package and can be a great choice without any doubts. At 17,999 Rs. the Asus Zenfone Selfie (3GB RAM) with 13 MP front camera and dual-LED front flash is also available, it also comes with laser auto-focus for the 13 MP rear camera. So, if camera, specially the front camera is your primary concern, the Zenfone Selfie is the best selfie focused smartphone under 20000 Rs. but if you are looking for better performance, Zenfone 2 with 4 GB RAM should be your choice. The recently launched Sony Xperia C4 looks quite impressive. It houses the typically awesome design language of Sony but the USP of the phone is its 5 MP selfie camera which comes with soft LED flash. The flash can automatically adjust according to the lighting conditions whereas the front camera has a 25 mm wide-angle lens and Exmor R sensor which helps in reducing noise in the image. The front camera lets you click “PROselfies” with HDR and you can also shoot good selfie videos even in the night. The 13 MP rear camera also comes with Exmor RS sensor and is capable of taking high quality images. When it comes to performance, the Xperia C4 is powered by 1.7 GHz Octa Core Mediatek MT6752 Processor coupled with 2 GB RAM. The performance is quite good. The phone sports a 5.5 inches 1080 x 1920 pixels Full HD display with Sony Mobile BRAVIA Engine 2 and it is protected by Scratch-resistant glass. The display quality is very impressive with the 401 ppi pixel density. The phone runs on Android v5.0 (Lollipop) with Sony’s customised skin which is very beautiful. The phone supports 4G and dual sim. It comes with 16 GB internal storage which is expandable upto 128 GB. The 2600 mAh battery gives decent battery life to the phone. Overall, the Xperia C4 can be another good choice for those looking for premium design, good performance and good camera experience from a reputed international brand. 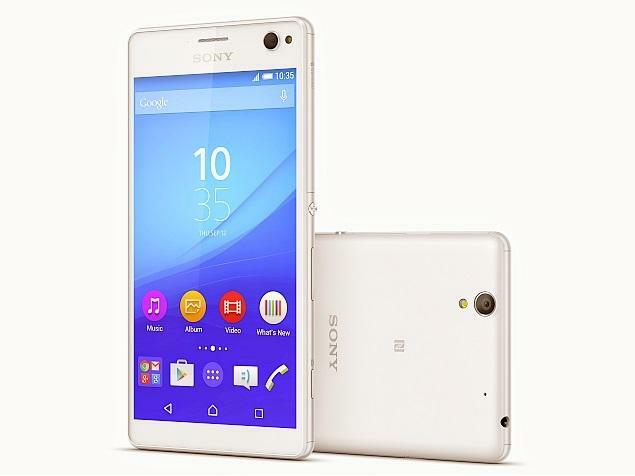 If you want a Sony phone and are little low on budget then, the Sony Xperia M4 Aqua Dual at Rs. 16,999 can also be a good choice. 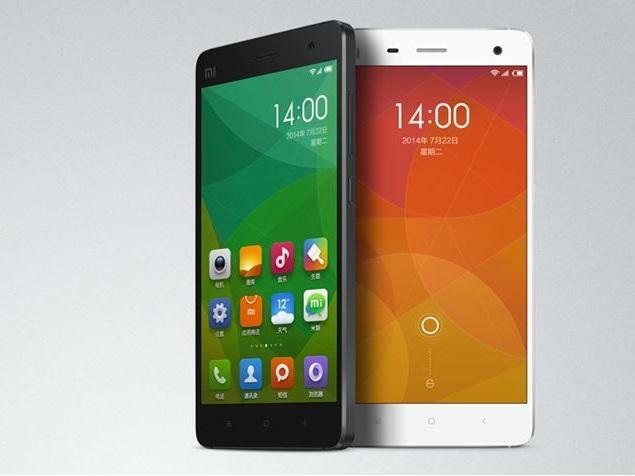 “Power” & “Simplicity” are the two words which describe the Mi4 entirely. It runs on the very popular and very powerful Snapdragon 801 Processor which was used in almost all the last generation flagship phones. To make the performance even greater it has got 3 GB RAM. So, there is no need to describe the performance, you yourself can imagine how fast and fabulously it will perform. It sports a 5 inches Full HD display which is also pretty good and bright. The things we should discuss in details is the camera performance of the phone. It has got the Sony IMX 214 CMOS sensor which is quite advanced. The camera quality is pretty good, it is capable of recording 4K videos, the Autofocus of the phone is pretty fast (0.3 Seconds) and decent and works quite well. The camera works quite well at night also, it has High Dynamic Flash which takes two photos one with flash and one without flash and then mixes the colors in both the photos so, the image gets natural colors. The 8 MP front camera is equally good. The battery life of the phone is good. Its design is simple but the metallic bezels gives it a premium and stylish touch. It runs on the custom Android skin of Xiaomi which is the MIUI V6 and is quite beautiful. 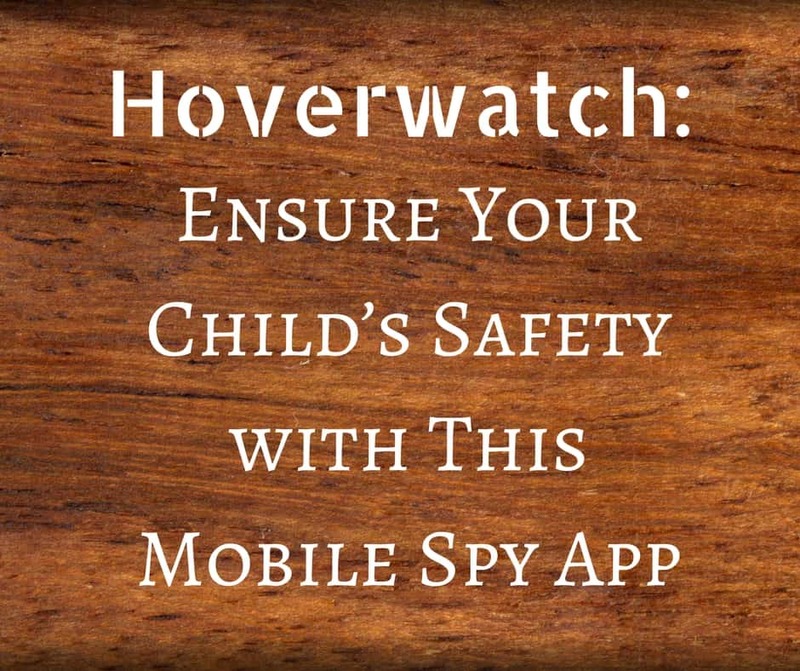 The Infrared blaster in the phone might be quite useful to control TV, AC, etc. Sadly, it is a single sim phone & doesn’t come with 4G so, make sure you are okay with it if you decide to go with it. Overall, it’s an amazing phone with very good design and build quality and can be a good buying choice at this price. QiKU, the new Chinese company which entered India is the joint venture of Coolpad and Qihoo 360 (popular for its 360 antivirus). The QiKU Q Terra 808 is the company’s first phone in the Indian market. The phone is packed with tons of value for money features. Starting with the design, it has got a very premium & beautiful metallic body with a sturdy build quality. With 6 inches screen, it must be a massive phone but it isn’t that big because of amazing 83% screen to body ratio and very slim bezels around the screen. 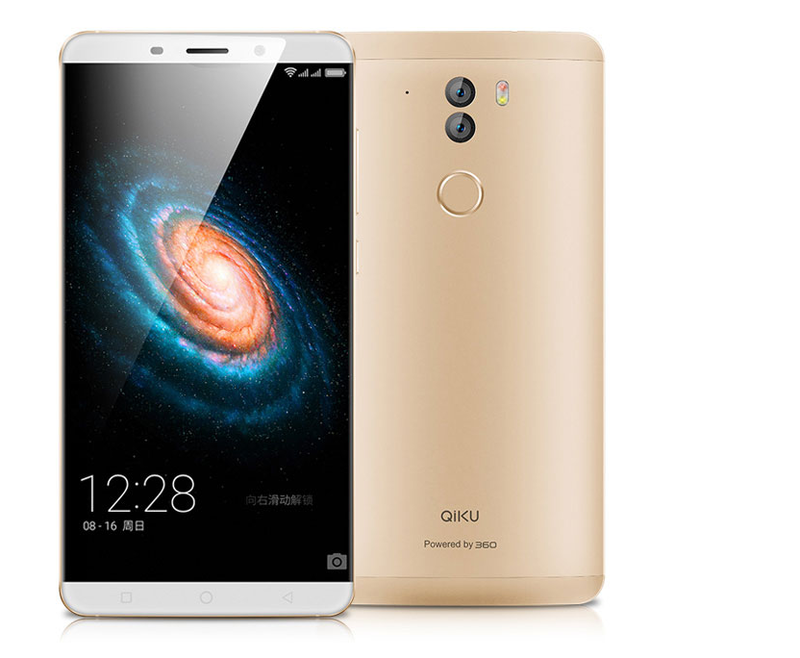 If you have seen the 5.5 inches iPhone 6/6s Plus, the QiKU Q Terra 808 is almost of the similar size but, with 185 grams of weight it is quite heavy. The 6 inches screen comes with Full HD display with good quality. It runs on 2 GHz Qualcomm Snapdragon 808 Hexa-core Processor coupled with 3 GB RAM and delivers very good performance. The phone features two 13 MP rear cameras, one with Sony’s IMX278 sensor with f/1.8 aperture, 6P Lens and 4K video recording capability and other with Sony’s IMX214 sensor used to capture DOF (Depth of Field). The dual rear cameras can click really good quality images. It also comes with a good 8 MP front camera. The phone also includes fingerprint scanner just below the rear camera, apart from unlocking the phone, it can be used perform lots of functions like opening camera, answering the phone call or recording the call, all these functions can be setup using the built-in settings. 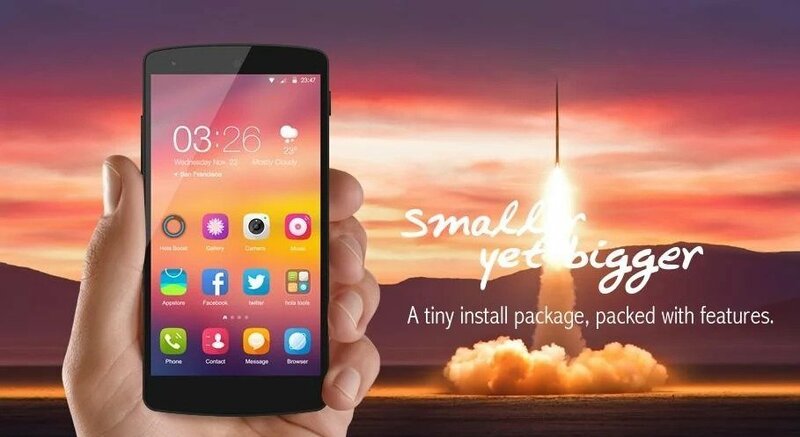 The phone runs on the company’s own 360 OS based on Android 5.1.1 Lollipop, the UI is far away from stock Android and brings in lots of themes, customizations and added features. It packs a big 3700 mAh battery with Fast charging feature that can charge the phone from 0-100% in 70 minutes, claims the company. 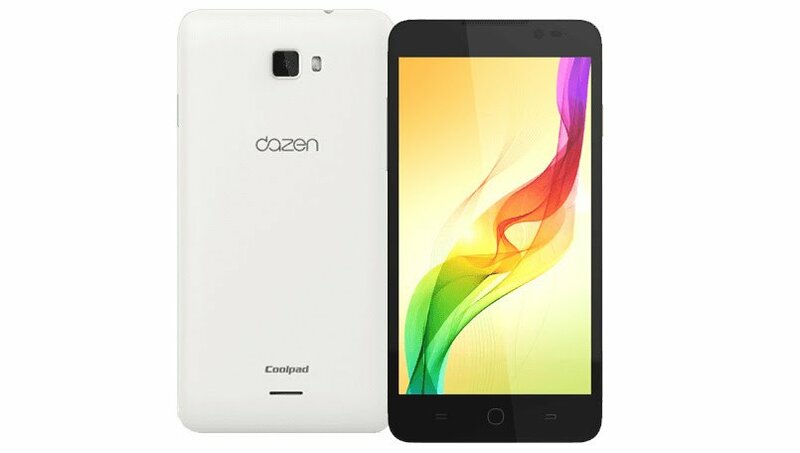 It is a dual sim phone with 4G LTE support. It has 16 GB of internal storage which is expandable upto 128 GB via microSD card but, it will use one sim slot. The phone is exclusively available on Gadgets360.com at Rs. 19,999 and comes with company’s Q-invite system and, if you want to buy the phone without the invite, it will cost you Rs. 21,999. The company has announced that it already has 200 service centres in India. Overall, there is no doubt it is a very powerful smartphone with excellent features and great cameras but, as the company is new entrant in India, only risk taking buyers should go with it, for now. 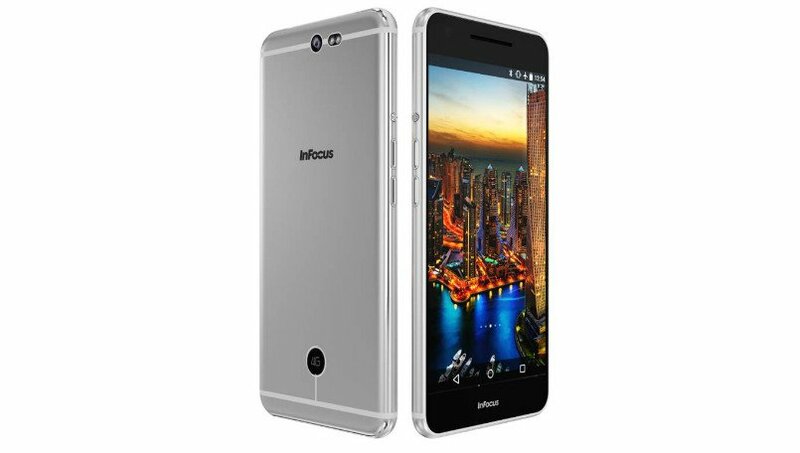 The American company InFocus which recently entered India is launching phones after phones in the country and the InFocus M812 is the newest flagship of the company in India. It has got a full metal unibody design built with Anodized Aluminum Frame. 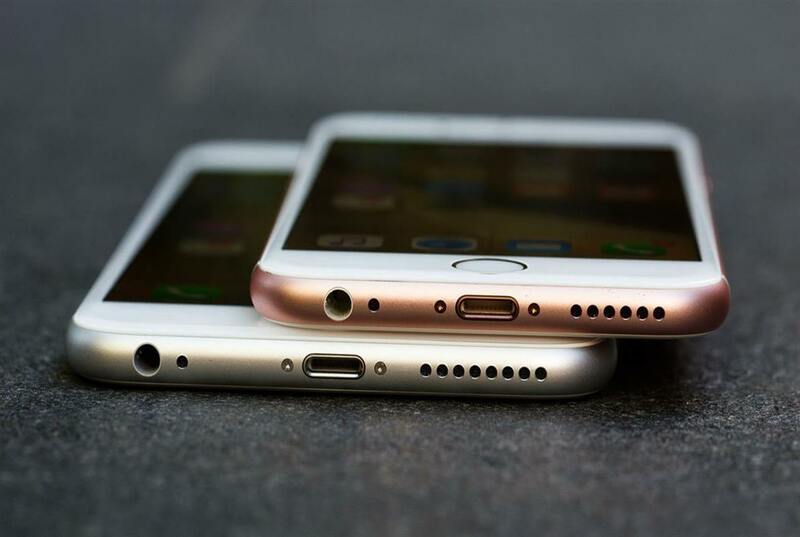 The phone looks beautiful and the design looks inspired from the iPhone 6! It weighs just 120 grams and has a thickness of 7.38 mm. It sports a 5.5 inches Full HD IPS display protected with Corning Gorilla Glass 3. The InFocus M812 is powered by the powerful 2.5 GHz Quad Core Qualcomm Snapdragon 801 Processor coupled with 3 GB of RAM and delivers excellent performance. It has got a 13 MP rear camera with f/1.8 aperture and Dual-LED flash and produces good quality images. It also features an 8 MP rear camera with 80 degree wide-angle. It runs on Android 5.0 Lollipop with company’s own InLife UI 2.0 running on top. It is a Dual Sim phone and supports 4G on both the Sim. The phone has a 16 GB internal storage which is expandable upto 128 GB with the help of a microSD card. The phone houses a 2900 mAh battery which supports quick charging. The company claims it can be charged upto 40% in just 30 minutes and 80% in one hour. The phone also comes with NXP Smart AMP acoustics technology which improves the overall sound quality of the phone. Overall, the phone has got a premium feel and design and with the Snapdragon 801 processor the phone is very powerful so, if you are open to try a new company it can be a very good choice. The HTC Desire 826 carries forward the beautiful design trend of HTC’s mid ranged devices, it has a plastic body with good build quality but it doesn’t feel premium. The USP of the phone is its 13 MP selfie camera! So, with this phone, there is no partiality between the front and the rear cameras, both are equal. HTC has launched the Desire 826 in other countries with a 4 Ultra Pixel front camera but in India they have launched it with 13 MP front camera, which takes great selfies. The 13 MP rear camera comes with intelligent BSI sensor along with f/2.2 aperture which is capable of taking great pictures even at low light conditions. The phone is powered by the Qualcomm Snapdragon 615 Octa Core Processor coupled with 2 GB of RAM, the performance is decent. It sports a 5.5 inches Full HD display with 401 ppi pixel density which is impressive. It runs on Android OS v5.0.1 (Lollipop) with HTC’s Sense UI running on top. It comes with 16 GB internal storage which is expandable upto 128 GB which is great. It supports Dual Sim and 4G (LTE). The HTC Desire 826 has a decent battery life with the 2600 mAh battery. The speaker of the phone comes with HTC BoomSound with Dolby Audio, which gives very good sound quality. Overall, this is a good phone at this price, you get the design and brand value of HTC with good cameras, good performance and good software. 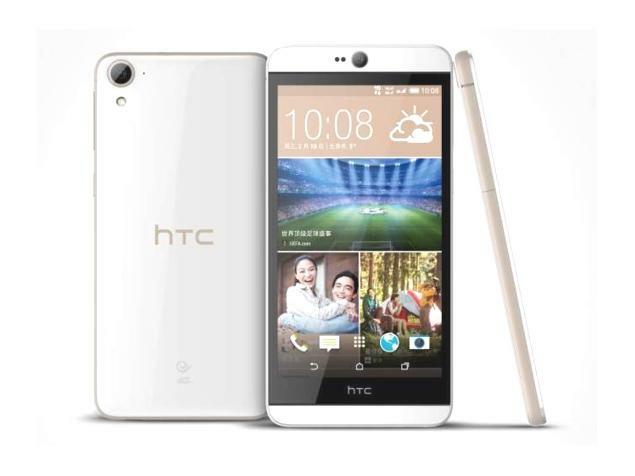 The newly launched HTC Desire 828 can be a good alternative to the Desire 826. The new Chinese player in India – Meizu, has launched its new flagship MX5 in the country. 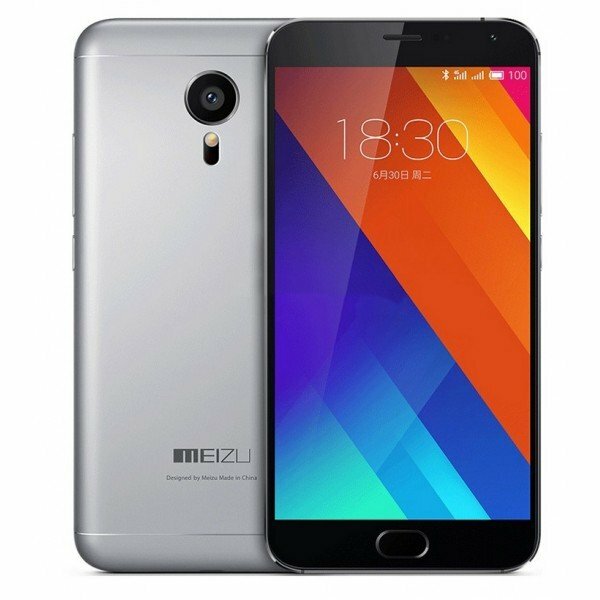 The Meizu MX5, right from its design to all the other features it carries, looks a very exciting device. The beautiful full metal body smartphone sports a 5.5 inches Full HD AMOLED screen and with 401 ppi pixel density the display quality is very good. 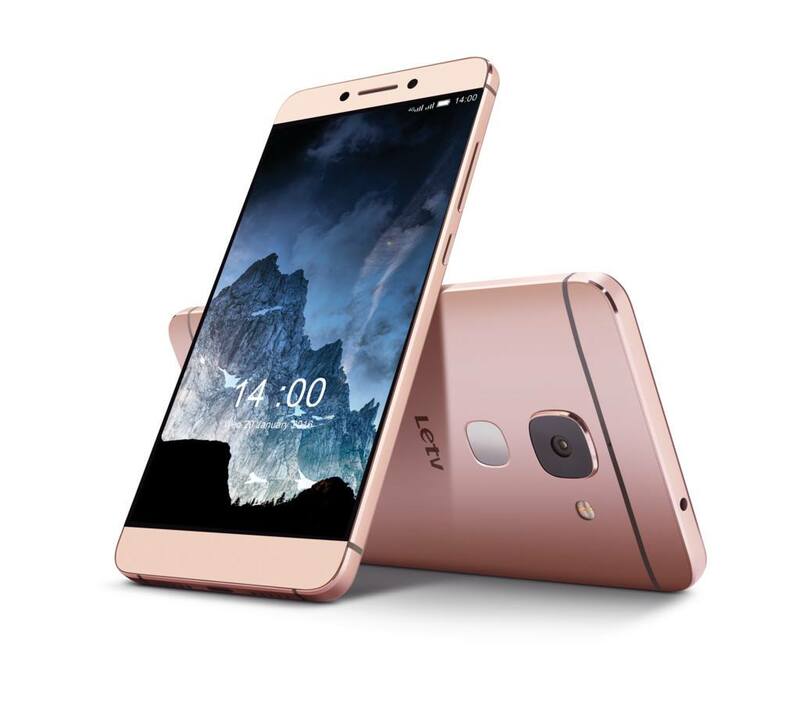 It is powered by the 2.2 GHz MediaTek Helio X10 Turbo Processor coupled with 3 GB RAM, the performance is excellent. It houses a big 20.7 MP rear camera with ƒ/2.2 aperture, 6-element lens, dual-tone flash, laser-aided focusing and to protect the camera glass it also comes with Corning Gorilla Glass 3 protective lens glass, on the front it has a 5 MP camera with ƒ/2.0 aperture lens. In totality, it’s a great camera phone. It runs on the latest Android v5.1 Lollipop but with company’s own Flyme 4.5 UI running on top of it. A great feature of the phone is that it comes with a fingerprint sensor, so you can quickly unlock your phone with the touch of your finger. It is dual sim phone with 4G support. It has 16 GB of internal storage but it lacks the microSD slot, which is disappointing considering the phone is very good in all the other departments. It is backed by a 3150 mAh Sony Lithium polymer battery which comes with Quick charge technology, the company claims it charges 60% in just 40 minutes. Overall, it is a well-built powerful smartphone with good features, can be a good buying choice if the company appeals to you, just make sure you are okay with just 16 GB storage. Gionee’s Marathon series is famous for big battery phones and the latest addition to it, is the phone with a massive 6020 mAh battery – the Gionee Marathon M5. Company says the phone offers upto 62 hrs of talktime and 684 hrs of standby time! Moreover, you can use the Marathon M5 as a power bank and charge other phones also. If we talk about the design, the phone has got simple looks but good metallic build. With 8.5mm thickness, the phone is not very thick but due to the large battery, the phone weighs 211 grams which is really very heavy. It sports a 5.5 inches HD (720 x 1280 pixels) AMOLED display which turns out into 267 ppi pixel density which is a bit low but, the display is still decent with good viewing angles, though it can’t match other Full HD phones at this price. The Marathon M5 is powered by a Quad-core 1.3 GHz Processor coupled with 3 GB RAM and delivers acceptable performance. 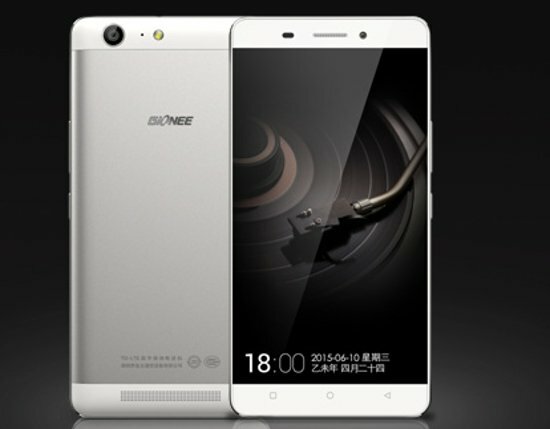 It runs Android 5.1 Lollipop based Gionee’s highly customized Amigo 3.1 OS. The phone features a 13 MP rear and 5 MP front cameras which deliver decent picture quality. It is a Dual Sim phone with 4G support and comes with good storage options and includes 32 GB internal and upto 128 GB expandable memory. The Marathon M5 also comes with a built-in IR blaster which lets you use your smartphone as a universal remote and control electronic appliances like TV, AC and others. Overall, the Gionee Marathon M5 brings in good performance & features an exceptional battery life but at the same time it is really heavy so, if you travel a lot and really need this big battery it can be a great choice otherwise, there are better options. At this price, the newly launched Gionee S Plus is another option from Gionee.